OTTAWA -- The federal victims' ombudsman says there are worrying gaps in proposed legislation around victims' rights in the military justice system -- and that fixing them could make the system a shining example for the rest of the country. The Senate is preparing to study a proposed declaration of rights for victims of military crimes after the House of Commons passed legislation late last month with minimal changes. 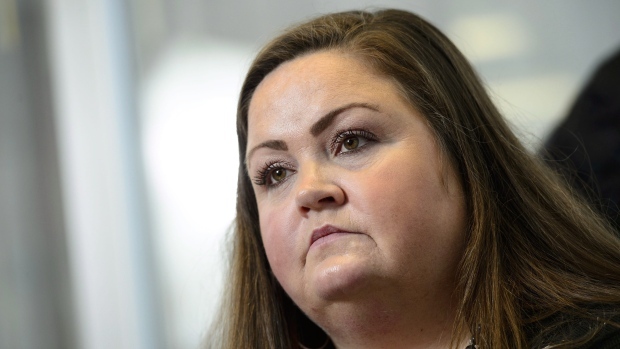 The approval came despite victims' ombudsman Heidi Illingworth and others such as the group It's Just 700, a support group for survivors of military sexual trauma, telling members of Parliament there were serious shortcomings in the bill. The Trudeau government unveiled the declaration last May, three years after a similar bill of rights for victims, which specifically exempted the military court system, came into effect. In an interview with The Canadian Press, Illingworth said one of the main deficiencies is the declaration does not require military police, prosecutors and others to inform victims that they have rights. Those include the same right to information, protection and to participate as their cases move through the military justice system, as well as access to new case managers or victim-liaison officers. "That's a huge gap," Illingworth said. "People who are highly traumatized, who have just had an experience with violence, just even deciding what is the next step that they want to take is really difficult." The same shortcoming exists in the civilian version, Illingworth said, but that is because provinces administer their own justice systems. Such isn't the case with the military, which is a federal entity. It's also unclear in the proposed legislation exactly who is responsible for informing victims of their rights and providing them with services, she said, which raises the risk victims will through the cracks. The federal auditor general warned last fall that the military had failed to properly support victims of sexual misconduct, with military police often failing to provide information about services or updates on the case. There were also concerns about a lack of training for specialized personnel such as chaplains and military health-care providers in terms of assisting victims. The military has said it is working to address concerns, with its arms-length sexual misconduct response centre taking much of the lead, but Illingworth said improving the legislation could add impetus to those efforts. "We can't leave it up to the goodwill of criminal justice system professionals to hopefully do this," she said. "Because then it's not actually providing rights. It's just a statement of some good intentions that we have, but we're not actually changing any of the systems for victims." And Illingworth, who said she was never consulted about the proposed legislation before it was tabled, said fixing the gaps could make the military an example for provinces to better support victims in their own justice systems. It's Just 700 founder Marie-Claude Gagnon said it was surprising MPs from all parties did not do more to amend the bill after she and others testified to the Commons' defence committee about its shortcomings. Now she is hoping the Senate will take a second look and listen to what victims and their advocates say needs to change -- though she also acknowledged changing the bill could take time at a moment when the clock is ticking towards a federal election. The proposed declaration will die on the order paper if it is not approved before the election, as happened to a previous version introduced at the last minute by the Stephen Harper government in June 2015. Gagnon lamented the declaration wasn't drafted differently -- including through consultations with victims -- given how long it has been in the works, though she reluctantly added: "It's better to have one than none at all."